Portugal is quickly becoming one of Europe’s hottest destinations, attracting 60 million tourists in 2016. 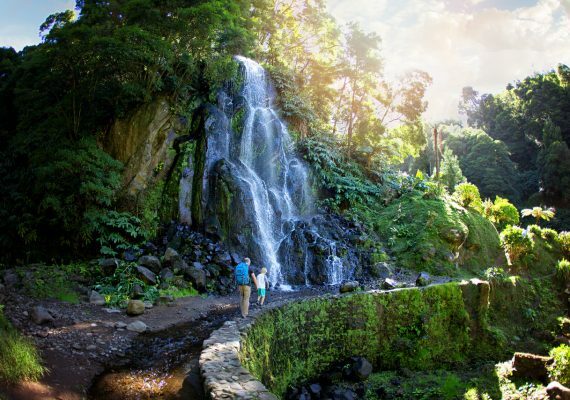 And while you might think of it as a vacation spot made for couples, it’s surprisingly easy to travel Portugal with kids. 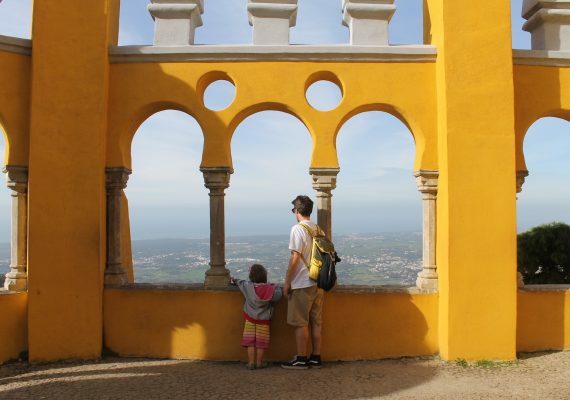 From Lisbon to Porto, Portugal offers plenty of fun for children and parents alike. Here are five kid-friendly activities to do on a family holiday to Portugal–that adults will love as well! For sun ‘n sand loving–families, a visit to Praia da Bordeira is a must. 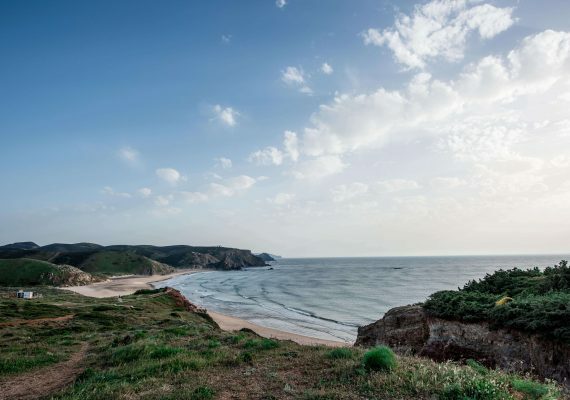 Located inside Parque Natural do Sudoeste Alentejano e Costa in southwest Portugal, this beach is the perfect spot to get away from crowds and enjoy some solitude with your family. 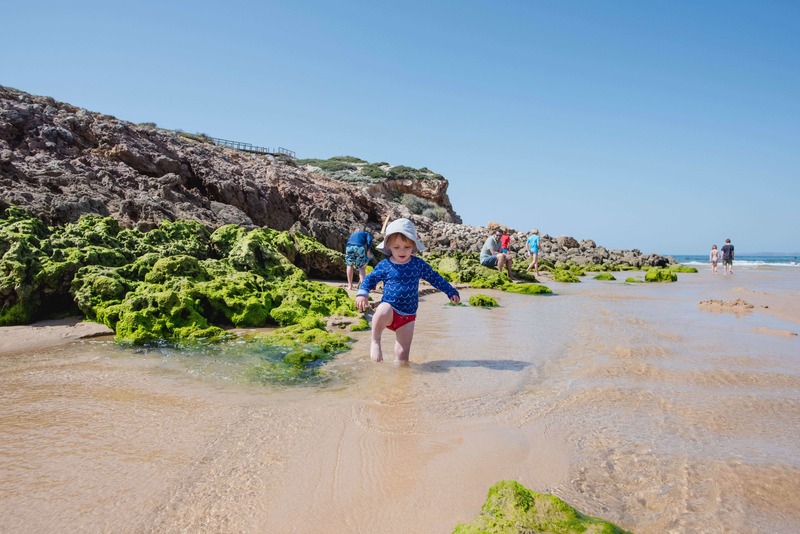 Kids will love pointing out fish in the small river that runs into the ocean, and the waters are calm enough that you won’t need to worry about little ones getting knocked over by big waves. 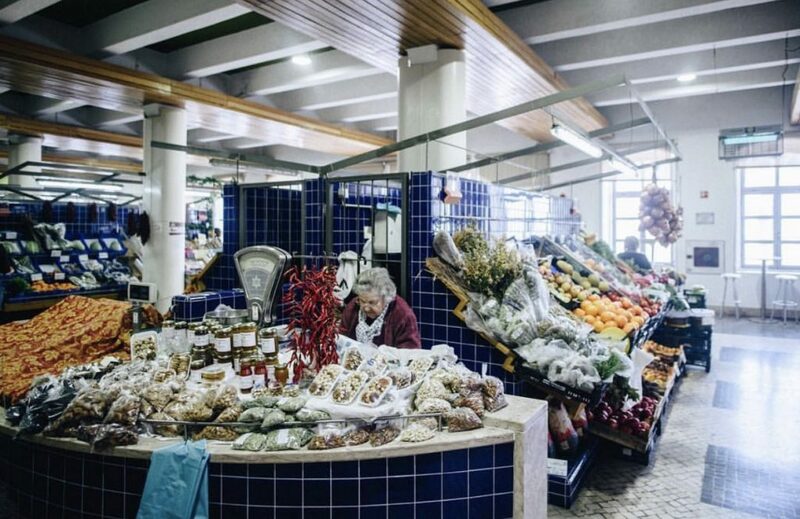 Although you might not expect it, Lisbon is a city filled with kid-friendly attractions. One that you won’t want to miss? 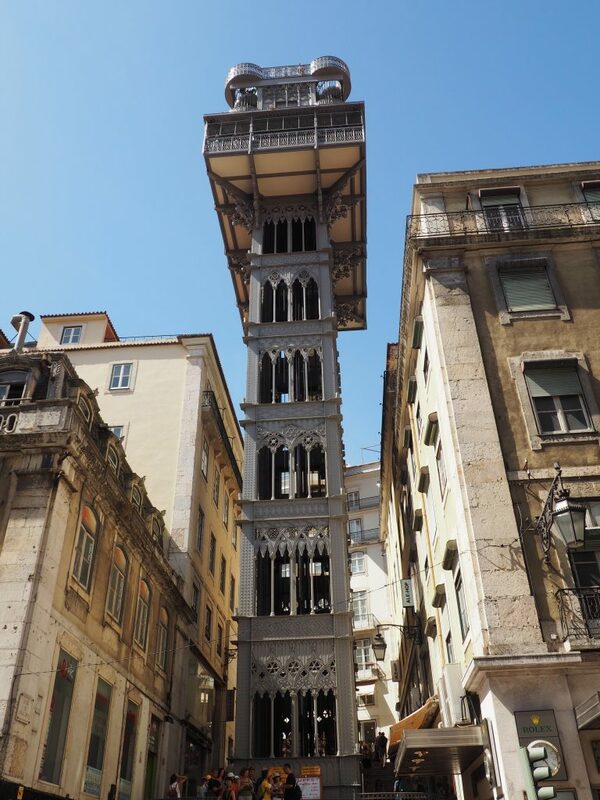 The Elevador de Santa Justa, a 45-meter-high (147 ft) steel elevator that offers fantastic views of the city. 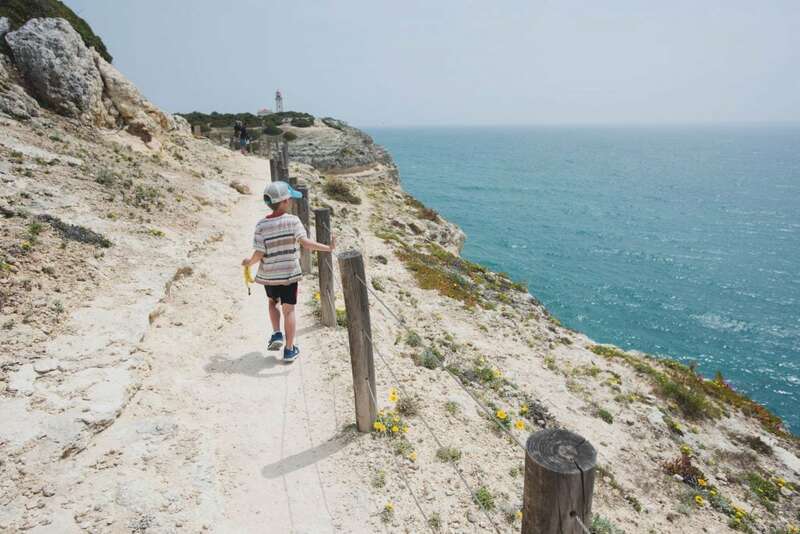 It’s a great activity for a family holiday in Portugal because the ride to the top doesn’t take long (so little ones won’t get bored) but the views are well worth it. 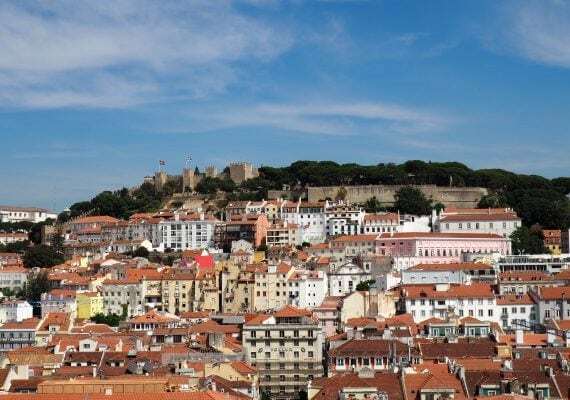 For even more ideas, check out this fun Lisbon itinerary. Your little ones might be picky eaters at home, but visiting a local market while traveling can be both fun and educational. If you’re in Lagos, head to the Lagos Fish Market. 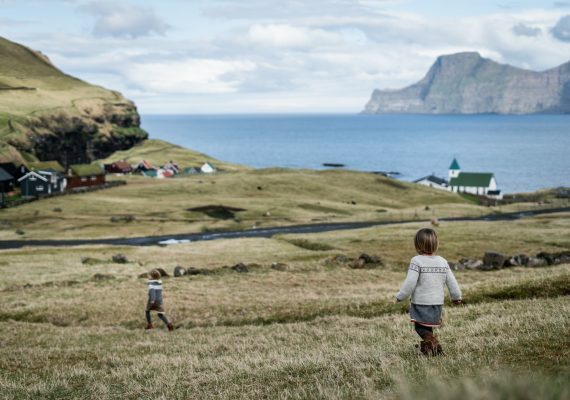 Kids might turn their nose up at the smell at first, but they’ll likely be fascinated as you wander through rows of fish, fruit, vegetables, and food products. Parents can shop for souvenirs while kids get a taste of local culture! If you’re traveling with older children or babies who can go in a hiking backpack, be sure to check out the Seven Hanging Valleys Trail. 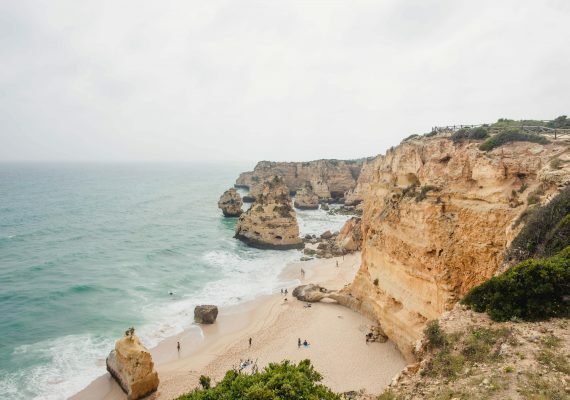 This 7.6-mile out-and-back hike stretches along the Algarve coastline, offering breathtaking views of the cliffs and ocean below. It does get windy, however, and is best reserved for those families who have some hiking experience. 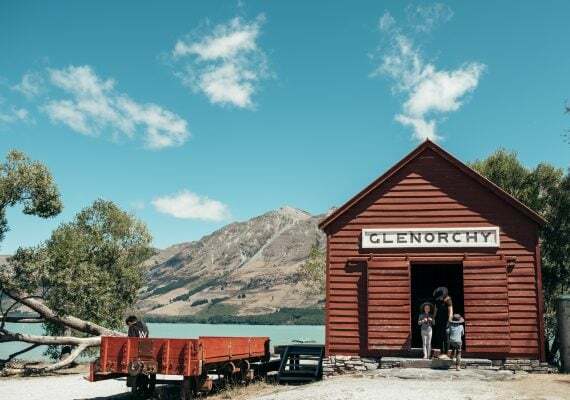 If you want to give it a shot, here is the full itinerary, family-tested by nugget contributor Julia Aue. 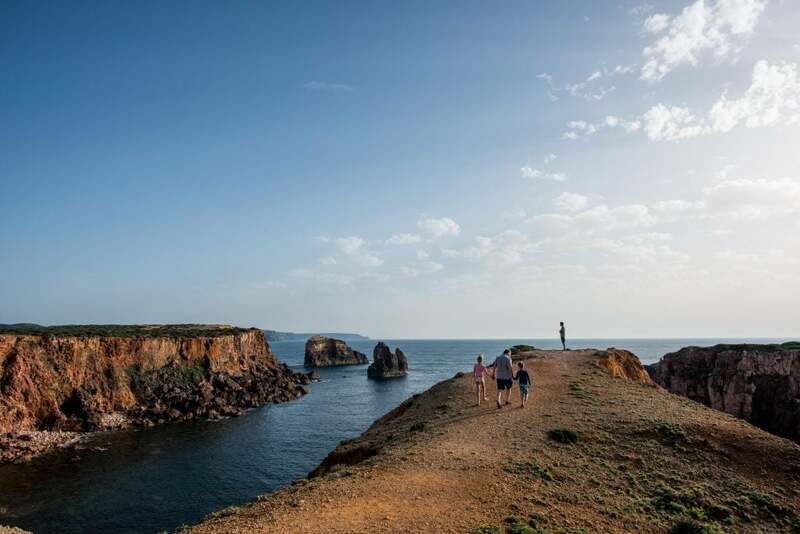 Hiking isn’t the only way to glimpse the gorgeous views of the Portuguese coastline. Enjoy them from your car instead as you drive the Estrada da Praia, which stretches between Praia da Bordeira and Praia do Amado. 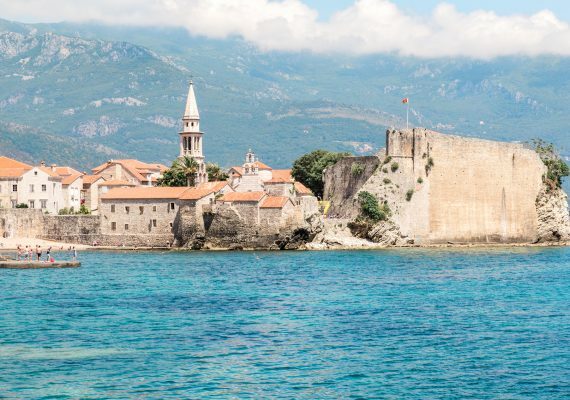 This route is the perfect way to take in the stunning scenery without having to worry about small children getting hurt (or for those who would simply prefer to drive rather than hike.) Excited to get driving? Here is a full-day itinerary of all the highlights along the Estrada da Praia. LOOKING FOR MORE PORTUGAL INSPIRATION? We’ve got you covered. 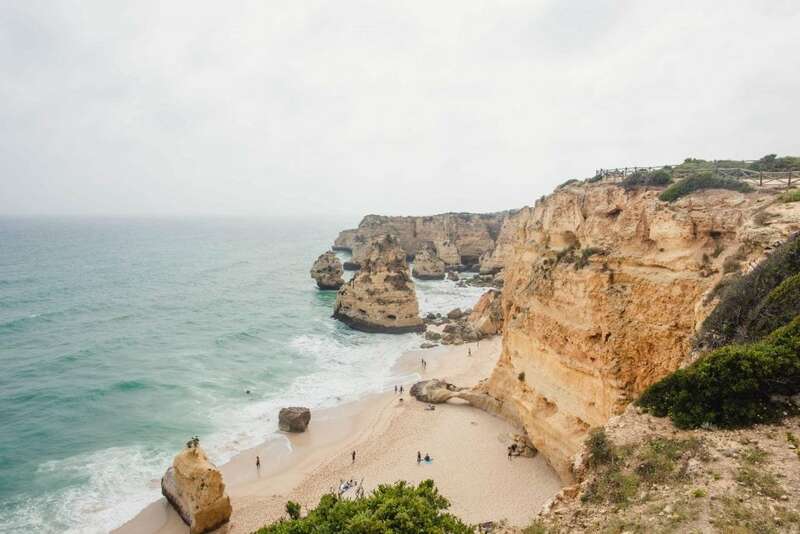 Our nugget contributors put together parent-tested and kid-approved day-trip itineraries that are perfect for planning your family holiday to Portugal. Explore our Portugal travel itineraries.